Sunil Buch is a versatile and multi-talented leader. 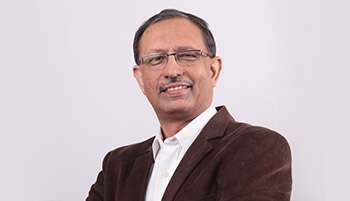 He has over two decades of leadership and general management experience spanning FMCG, Advertising, Telecom, Retail and Media & Entertainment sectors. Sunil has served and contributed in leadership roles at Colgate – Palmolive, Johnson &Johnson, Leo Burnett, Marico, Reliance Communications and ZEE Entertainment Enterprises Limited where he was the CEO of Zee Live & Zee Talent. He specializes in creating profitable brand-led businesses via thought leadership, entrepreneurial problem-solving, creative strategy and execution. Happy People make Happy Products & Services and the PAT principle are the two tenets he strongly propagates and believes in. He is a science graduate and MBA from Mumbai University.